Why Choose The Julie Kinnear Team? The home selling process is often described as stressful, whether this is your first home or if you’ve done this before. How will I know how to price my property? What are the steps involved? What is the current real estate market doing? Who will take care of the many transactional details? Should I sell or should I buy first? These are some of the many questions we encounter every day from people like you who are excited about making their housing dreams come true, but who are concerned about how they’ll get there. We at The Julie Kinnear Team have over forty years combined real estate experience working with sellers in all kinds of markets. Our expert negotiating skills, knowledge of homes, condos, construction, neighbourhoods, and administrative expertise ensure that you will receive world class service when working with us. 1. Why Choose The Julie Kinnear Team? Do your past clients and other contacts refer your services to their families and friends on a regular basis? What percentage of your business comes from repeat and referral sources? Can I get out of the listing agreement at any time if I am not happy with the service being provided? Without any penalties? Since 80-90% of all homes are sold by another Realtor (i.e. they bring the buyer) and not by the listing Sales Rep., what will you do to encourage these sales people to show and sell my home? What is my property going to sell for? What should it be listed at? How will you arrive at the price? How long will it take to sell my property? How long of a listing period do you recommend? Will you provide a professional looking feature sheet on my property? What are the pros and cons to buyer brokerage? How does it affect me? When selecting a Realtor, what criteria should I base my decision on? What are my responsibilities (as a vendor)? What do you expect from me? Have you ever been in a cab? Then you know it has its own unique experience. Usually, you go for the ride, you pay, and get out and never see the cab driver again. The cab driver rushes off to find the next fare. 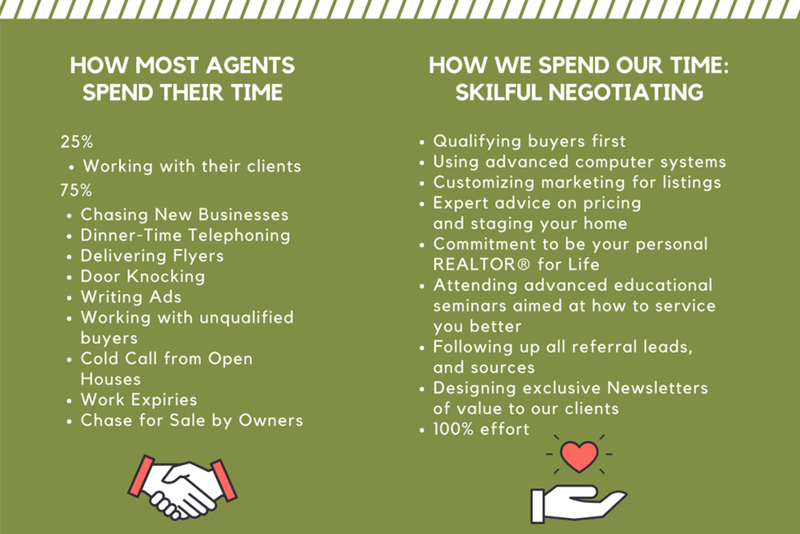 Most REALTORS®, like taxi drivers, spend 80 to 90 percent of their time looking for new clients, we spend most of our time working with clients who were referred to us. And the good thing is that it doesn't cost you any extra! We want to be seen as trusted consultants who work hard and clients are important to them, not just as ordinary salespeople. While most agents work only for themselves and compete even within their own office, we work together as a team. Instead of wasting energy on competing, we use it to look out for the best interests of all our clients. This is the refreshing difference between us and those who only boast about their impressive numbers. As a home owner, we know how important the bottom line is to you when selling your home. You are looking for results. In 2014, while the Toronto Real Estate Board's average was 99%. That means if your property was listed with The Julie Kinnear Team at $600,000 you'd get, on average, $652,200. If you listed with another TREB realtor you'd only get an average of $594,000. In 2014, The Julie Kinnear Team's properties stayed on the market for an average of just 9 days, while the Toronto Real Estate Board's average was 27 days! That means less stress and hassle for you, fewer people coming in and out of your home, and less disruption to your schedule. It also means you will save $$ in taxes and operating expenses carrying two homes if you have already bought. Bottom line, it means peace of mind. Our goal is to find the right buyer for you and we target our market specifically to find that buyer. We WILL get the most amount of money for you, with the least amount of hassles, We are the best and there IS a difference! 93 percent of our homes were sold within a 2 week period (based on the last 10 years). To improve the chances of finding the right buyer for you, help us by filling in our What's important to you? form. The first formal step in marketing your property is to enter into a Listing Agreement – a contract that commits The Julie Kinnear Team to actively market your home for a specified period of time. The listing agreement outlines the rights & responsibilities of both parties. Plan of Survey: a survey of your property which outlines the lot size and location of buildings as well as details of encroachments from neighbouring properties. Your legal professional may recommend that you obtain a survey, especially if significant changes have been made to your property. Deed or Title Search: this document is a legal description of your property and proof that you own it. Status Certificate (applicable only for condos): a set of documents that can be ordered from your property management office, at your expense. The documents outline such thing as the condo rules by-laws, and once an offer is put in on your condo, the buyer's lawyer will likely need to review the status certificate before signing off on a firm offer. It is a good idea to order the status certificate early on in the listing period so you will be prepared. Property Tax Receipt or Amount: the Listing Agreement requires that the current annual property tax assessment is shown. Other Documentation: it will help the sale of your property if you can provide prospective buyers with information on such items as annual heating, electrical and water expenses. More buyers than ever search the internet looking for houses. This is why we focus on getting you complete exposure for your property. One of the most unique and effective marketing strategies we use is designing a personal web page for your house/condo. Here is an example of 322 Berkeley Street. This personal web page is promoted on our homepage in the Featured Listings section. Far more buyers will see your home without even leaving their computer. So much interest is generated this way that we have far more showings on our listings than the average real estate team. If you want to attract as many potential buyers as possible, you have to present your home in the best possible way. High quality pictures that highlight the best features of your property are priceless. 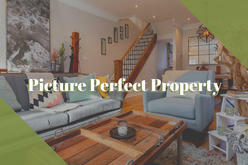 Picture Perfect Property will gain the most possible attention of right buyers, sell quickly, and ultimately increase its market price. Agents: We have a database of Agents that is updated weekly. They are divided into 4 districts. We personally invite Agents from the specific district to attend the Agents Open House. As well we email them any updates or changes to a listing so they can pass along the info to their clients. Clients: We have a meticulous database that consists of over 10,000 contacts. Our client e-mail database is worked on and updated daily. We e-mail the contacts announcing upcoming open houses. We also have an active client group within the database that receives a personal e-mail from the Team highlighting property features, open house dates and offer dates. 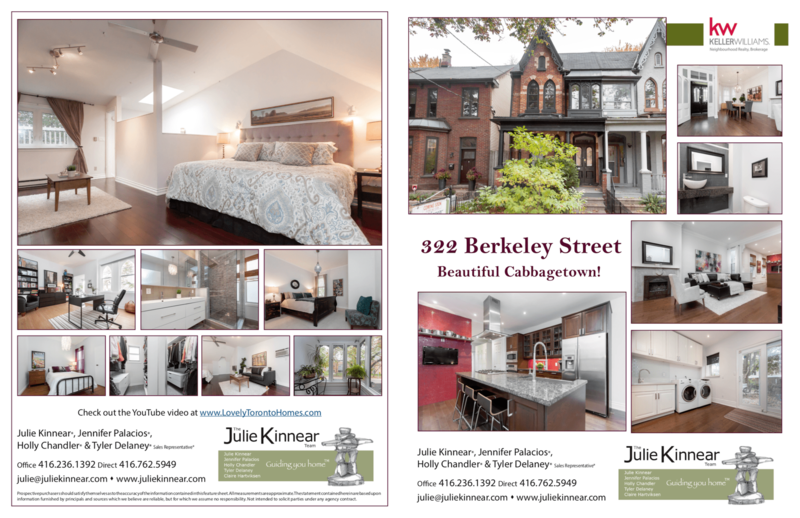 We print colour feature sheets for the potential buyers that come to your home to take with them. They consist of all the information about your property along with beautifully taken coloured photos and a very detailed floor plan. These letters get delivered to your immediate neighbours inviting them to view the home and to pass the letter along to their family and friends because wouldn't it be great to choose your neighbours! A JKT custom For Sale sign with a website is put on your front lawn. On the sign, we hang an "Open House" rider which states the day and time of the Open House. Also an InfoBox full of flyers and the 1-888-rider. We have a free recording about your property for anyone who does not want to speak to a sales rep right away. This rider is on the bottom of your For Sale sign and people driving/walking by can call it toll free, without the need of an agent, and receive a recording of the highlights of your home, price and open house dates. On the For Sale sign on your lawn, we have an information box (infobox). We create info box flyers that contain great facts and hi-lites of your home so that anyone driving or walking by can take one home with them and then go to our websites to check it out! Once the listing agreement is signed, key information is communicated to local Keller Williams Neighbourhood Realty salespeople through our exclusive Instant Messaging System. The Julie Kinnear Team has a significant presence in the Friday Globe & Mail Classified Section. 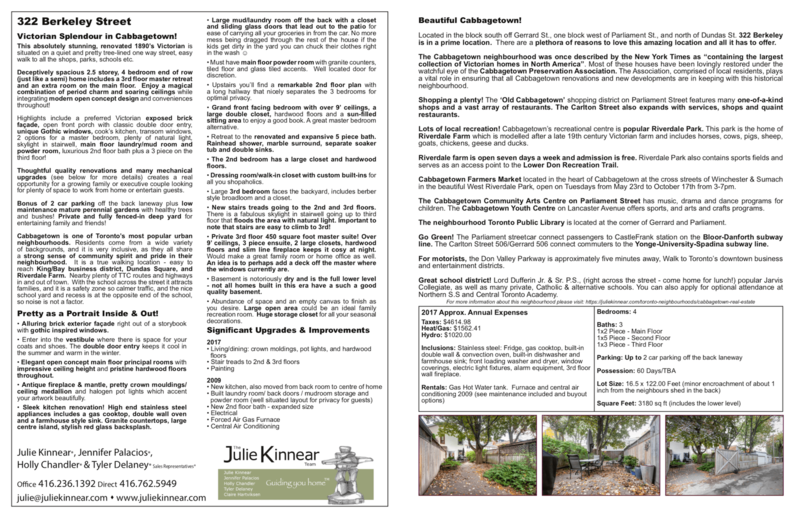 We also advertise in local newspapers of the area your home is in. Our prime location in the heart of Toronto affords you the unmatched opportunity to market your property to hundreds of passersby each day. A flattering colour photo of your property will be placed in the window display the week your home goes up for sale. Julie and the Team hold an Agents open house from 11:00-1:00 pm a day after the property is listed on the MLS. This is where all Agents get a chance to view your property before the general public. We regularly update an address list of all the agents who do business in your area, and we send them a colourful invitation via e-mail to attend your open house! We also hold public open houses on the weekends from 2:00-4:00 pm Saturday and Sundays. Learn more about open house sign-in sheets in our article here. As your agent, our email "auto-replies" will invite people to check out our Featured Listing of the Month, which will be yours! Every single time we send an email to anyone, a link will direct them to where they can see your property's web page! The most important decision we will make is determining the right asking price for your property. Once we have achieved a realistic list price, you can expect to sell your home for the best possible price in the least amount of time. The closer to market value the price is, the higher offers it attracts. A well-priced property can receive multiple competing offers. Contact us for a Free Home Evaluation and find out what your home is worth on the open market. 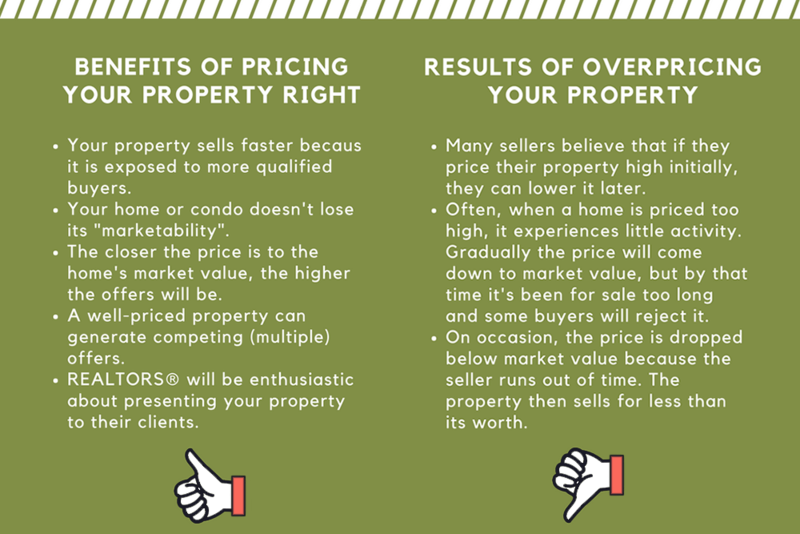 You may think that interested buyers can always make an offer but if the property is overpriced, potential buyers looking in a lower price range will never see it. As soon as a property comes on the market, there is a flurry of activity surrounding it. This is the crucial time when REALTORS® and potential buyers sit up and take notice. If the property is overpriced, it doesn't take long for interested parties to lose interest. By the time the price drops, a majority of buyers are lost. Anyone who's owned a home can attest to the ongoing maintenance, time and expense involved in keeping it in good condition, not to mention the renovations you may have completed. When you decide to renovate your home before selling it, you should have an idea what return you can expect on the investment you have put into your house over the years. Renovating your home before selling it? What return you can expect on the investment you have put into your house over the years? To make a lasting first impression, you only need to perform some simple tasks to make the outside of your home look as appealing as the inside! Real estate agents and professional stagers are key in increasing home’s overall appeal to buyers & decreasing the time it spends on the market. 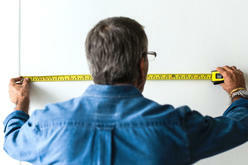 More and more purchasers are requesting pre-purchase home inspections. It’s a good idea to assemble in advance the various house records that can be used to answer questions from the purchaser’s inspector. In the spring and summer, cut back overgrown shrubs that may hide the house. Potential buyers will be driving by. If the exterior is attractive they’ll want to explore further. Water the lawn in summer to create a green, fresh outdoor environment. Keep it neatly trimmed and as weed-free as possible. Place hanging baskets of garden annuals on the front porch (or balcony for condo) to add colour. Keep the walk and drive clear, ice-free and shovelled in winter. Clean up any oil spills on your driveway with drain cleaner. Clean gutters of debris and leaves, repair or replace cracked or broken gutters, downspouts and extensions to ensure proper drainage. Remove toys, bikes, garbage cans and other unnecessary items from the front yard and driveway. For condo, ensure	the	balcony	is	uncluttered	and	tidy. Organize the garage, storing items at a helpful relative's house. For condo, sort	and	tidy	storage	locker. Make sure the doorbell or knocker works & tighten loose door knobs. Paint the front door and entryway a matching colour. Have windows cleaned & use your best blinds, drapes or curtains. 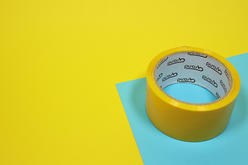 Apply new weatherstripping as needed around windows. Turn on the porch and/or driveway lights for evening appointments. It is important to appeal to as many senses as possible, as often buyers are not able to see past the cosmetic features to the excellent qualities your home may possess. Buyers and REALTORS® are busy. The less flexible you are with your showing schedule, the fewer buyers will look at your home. Take a walk during showings, as most buyers feel more at ease when they can wander through and discover the home on their own, without being seen or heard. Never apologize for the appearance of your home if you haven't covered all these bases – it will only call attention to the condition of your home. We will put signs up around your home to highlight any positive traits that might not easily be seen as well as caution potential buyers such as "Watch your Head" if there is a low ceiling or advising them of a step. Please let us know about any potential hazards in your home. The offer is a legal document which specifies the terms and conditions of the buyer's offer to purchase your home. The buyer's agent will present the buyer's offer, also known as an APS (Agreement of Purchase & Sale) to us on their client's behalf, and then we will respond with a counteroffer. Sometimes there may be more than one offer on your property coming in at the same time (a multiple offer situation). We will decide together whether to "hold back" offers on your property until a certain date (i.e. all offers to be considered on the 4th of November) or to consider offers anytime. Choosing which strategy will work best depends on the type of property you are selling along with current market & area conditions, the number of comparable properties available for sale (our competition!) and we will discuss all these factors. A buyer may wish to offer on your property before the set offer date. We will let you know of any such "bully bids" so you can choose whether or not to review these offers when they come in or instruct the buyers to wait until the appointed day. When the day to consider offers arrives, we will keep you posted throughout the day. As the day goes by, agents whose clients are interested in your home will be calling our office to inquire how many offers are registered, what is the time & location of the offer presentation, what is your preferred closing date, and other in-depth questions that indicate their interest is more than superficial. We will call all these agents to find out whether they are registering their offers. It is most common to look at all the offers in the evening (after 6 pm) either at our office or at your home. A registered offer is an offer that has been signed by the buyers. The buyers' agent will call our office to register their offer. An unregistered offer is one that has been prepared by the agent, but remains unsigned by the buyers – agents may inform us that they are "coming in with an offer" and it is common for offers to be signed later in the evening (once buyers have left work and met with their agents). These offers may remain formally un-registered but once signed by the buyers, will also be presented to you! This is obviously preferable to you over a conditional offer because it means that the buyer is prepared to purchase the home without any conditions. If the offer is accepted, your home is sold. As mentioned previously – a 5% deposit to be held in trust by our office is given with the agreed offer. The buyer's offer will be presented during a formal session (usually in the evening as mentioned). The buyer's agent will present their buyer's offer, explaining its terms & conditions and advocating for their client's success. Under certain circumstances the buyer's agent will email the offer in for our consideration; sometimes a cover letter introducing their clients will accompany the offer. After we have read & discussed the offer, you may accept the offer, reject it, or submit a counter-offer. The counteroffer may be in reference to the price, the closing date, or any number of variables. The offers can go back and forth until both parties have agreed or one of you ends the negotiations. Moving homes? While it may be tempting to cut some financial corners, hiring movers is an investment of your time and your peace of mind. If, for any reason you are not 100% satisfied with the service you are receiving, you may immediately end our agreement with a written notice. If you are hesitant or sceptical, the Easy Exit Guarantee will put you at ease. Of course, we wouldn’t make such a guarantee unless we were certain that you will be thrilled with our performance. We take all of the risks, not you, and you have nothing to lose and everything to gain! If you haven't found the information you were looking for, try reading the Selling You Home FAQ. Considering selling your home? Start the process online by filling in our Seller Registration Form.